Rick Reilly—the unbuttered wheat toast of sportswriters—is going to have a grim Thanksgiving. Last month, to much media attention, the ESPN columnist wrote about his Native American father-in-law’s support for the Redskins name. This was the foundation for his article’s thesis that the only people who care about whether the team should change a name many see as gobsmackingly racist are white, politically correct ninnies. Actual Native Americans, like his father-in-law, feel honored or don’t give a damn. 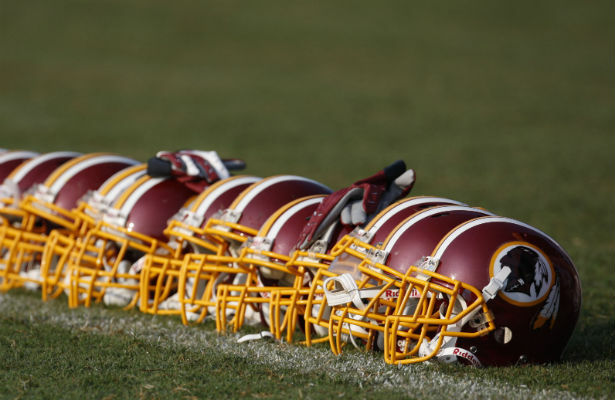 No one less than Washington’s Hall of Fame former coach Joe Gibbs recommended Reilly’s piece as an answer to anyone who has a problem with the Redskins name. But alas! Karma can be cruel. Reilly’s father-in-law a Blackfeet elder named Bob Burns has now issued a statement that not only did Rick utterly misquote him, he also refused to make a correction. What I actually said is that ”it’s silly in this day and age that this should even be a battle—if the name offends someone, change it.” He failed to include my comments that the term “redskins” demeans Indians, and historically is insulting and offensive, and that I firmly believe the Washington Redskins should change their name. Damn. While this is all certainly coated in schadenfreude, more interesting than whether Reilly is “good” with Bob Burns is why he chose to hear what he heard and write what he wrote. This personal and professional disaster for Reilly is a microcosm about the harmful effects of mascoting. The argument made for decades by Native Americans is that their ubiquitous presence as sports mascots enables the dominant culture to see them only as stereotypes and not as a living, breathing, visible part of this country. Here is Rick Reilly and he is so focused on defending the right of teams to have the freedom to practice minstrelsy that he is not actually hearing the Native American man under his own roof. When that same man asks for a correction, Reilly still will not hear him, and he has to write his own response. This country has always been more than comfortable with Native Americans as brands on sports teams and military hardware such as Apache helicopters, and Tomahawk cruise missiles. It is not comfortable with actual, real-life Native Americans like Bob Burns. This is the legacy of conquest: you glory in the fighting prowess of the noble savages you vanquished because it indirectly is a way of praising your own sense of muscular manifest destiny. I hope Rick Reilly writes a follow up about what this experience has taught him. If not, then ESPN may have to issue their own statement. This colossal embarrassment does show that the old guard defending the Redskins name are feeling the earth shake and are finding themselves able to do little more than grasp at straws. Dave Zirin looks at how the push to change the Redskins name has managed to involve even President Obama and The Onion.